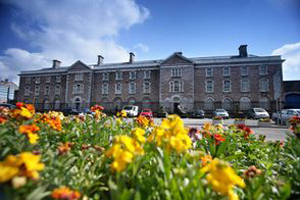 Armagh Gaol in Ireland could be transformed into a four-star hotel with conference and spa facilities. A planning application has been submitted and the £25m transformation would see a 65-bed, four-star hotel built on the site of a former gaol which housed Republican women prisoners during the Troubles. There are also plans to build restaurants and a heritage centre on the site. Subject to planning permission, the work is expected to start in 2014 and will be completed two years later.